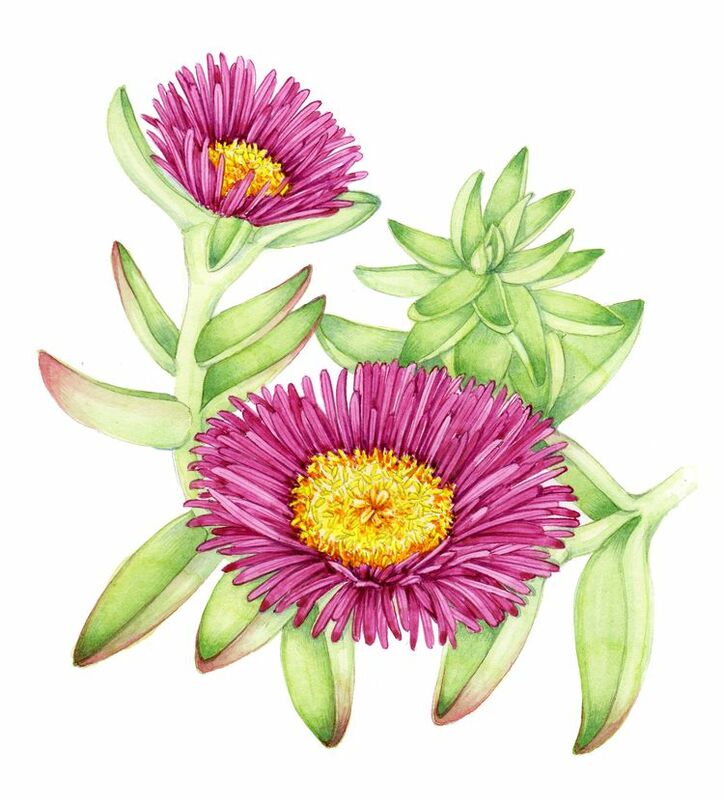 This lovely flower in the Hottentot Fig Carpobrotus edulis. It's one of about 35 done for a forthcoming chart on Invasive plant species in the UK, published by FSC. It's a new thing for me, illustrating the fleshy leaves of succulents. I have to admit to finding it a little unnerving. The lovely pink petals of the flowers were a LOT of fun to illustrate though. I'm interested, the latin name C. edulis suggests it's edible. Anyone every eaten one? Which bit do you eat, and how?